Skunk2 Racing. Skunk2 is proud to introduce the 70mm Pro Series Throttle Body for Honda K20A/ K20A2/ K20A3/ K20Z1 engines found in the 2002-2005 Civic Si and 2002-2006 RSX Base & Type-S chassis. Sealed ball bearings, a precision machined throttle plate and a honed oversized bore insures smooth operation on the most aggressive naturally aspirated and forced induction applications. Skunk2 Pro Series 70mm Throttle Body K-Series '02-'06 Acura RSX (Type-S). Skunk2 is proud to introduce the 70mm Pro Series Throttle Body for Honda K20A/ K20A2/ K20A3/ K20Z1 engines found in the 2002-2005 Civic Si and 2002-2006 RSX Base & Type-S chassis. HONDA CIVIC (SEE ALSO DELSOL & CRX) 02-05 Throttle Valve Assembly, 2.0L (DOHC, MT), SI (US market). HONDA CIVIC (SEE ALSO DELSOL & CRX) 02 Throttle Valve Assembly, 2.0L (DOHC, MT), SIR (Canada market). ACURA RSX TYPE S OEM. Pulled from a 2003 ACURA RSX TYPE-S.
Skunk2’s Pro Series Throttle Bodies are designed to be used with OEM Acura RSX (PRB) or Skunk2 Pro Series Intake Manifolds for bolt-on horsepower and torque gains by optimizing engine airflow. Skunk2 is proud to introduce its 70mm Pro Series Throttle Body for the RSX Type-S in its signature, hard anodized finish. 5 position throttle wheel (Allows greater throttle cable options). 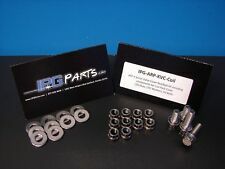 -Dual Bolt Pattern PRB/PRC and RBC/RRC. -Throttle bracket included. Thermal Throttle Body Gasket Acura RSX-S 02-06 Civic Si 02-05. Applications:Acura RSX-S 2002-2006 / Civic Si 2002-2005. Thermal Throttle Body Gasket. Direct fit for PRB/PRC and RBC/RRC manifolds. 5 position throttle wheel (Allows greater throttle cable options). Dual Bolt Pattern PRB/PRC and RBC/RRC. Throttle bracket included. Applications: Dual bolt pattern PRB/PRC and RBC/RRC. Skunk2 is proud to introduce the 74mm Pro Series Throttle Body for Honda K20A/ K20A2/ K20A3/ K20Z1 engines found in the 2002-2005 Civic Si and 2002-2006 RSX Base & Type-S chassis. SKUNK2 74mm Pro Series Throttle Body. Manufacturer: Skunk2 Racing. Skunk2 is proud to introduce the 70mm Pro Series Throttle Body for Honda K20A/ K20A2/ K20A3/ K20Z1 engines found in the 2002-2005 Civic Si and 2002-2006 RSX Base & Type-S chassis. Skunk2 Pro Series 74mm Throttle Body K series '02-'06 RSX (Type-S). Skunk2 is proud to introduce the 74mm Pro Series Throttle Body for Honda K20A/ K20A2/ K20A3/ K20Z1 engines found in the 2002-2005 Civic Si and 2002-2006 RSX Base & Type-S chassis. IAT (Intake Air Temperature), ECT (Engine Coolant Temperature), VTEC connector harness pigtail with the Middle Keyway. For the IAT, ECT and VTEC sensors onK-Series Honda and Acura. 2 Wire Sumitomo HX 040 Connector withMiddle Keyway. 2006-2011 Honda Civic Si - K20Z3 Engines. 2004-2008 Acura TSX - K24A2 Engines. 2002-2006 Acura RSX - K20, K20A2, K20A3, K20Z1 Engines. JDM Honda Integra - K20A Engines. The included nuts are authentic ARP hardware, In polished stainless steel. The engine types may include 1.6L 1595CC l4 GAS DOHC Naturally Aspirated, 1.8L 1797CC l4 GAS DOHC Naturally Aspirated, 1.8L 1834CC l4 GAS DOHC Naturally Aspirated, 2.0L 1972CC l4 GAS DOHC Naturally Aspirated. 2002-2006 Acura RSX Base & Type-S 4Cyl 2.0L. 2002-2004 Honda Civic SiR 4Cyl 2.0L. 2002-2005 Honda Civic Si 4Cyl 2.0L. 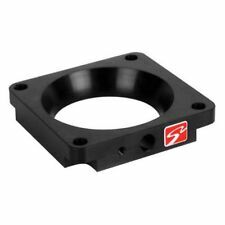 Thermal Heatshield Throttle Body Mounting Gasket For K-Series. Skunk2 is proud to introduce the 70mm Pro Series Throttle Body for Honda K20A/ K20A2/ K20A3/ K20Z1 engines found in the 2002-2005 Civic Si and 2002-2006 RSX Base & Type-S chassis. Sealed ball bearings, a precision machined throttle plate and a honed oversized bore insures smooth operation on the most aggressive naturally aspirated and forced induction applications. OBX Racing Sports™ Aluminum 6061-T6 Throttle Body. 2002 thru 2006 Acura RSX Base 2.0L (K20A). 2002 thru 2004 Acura RSX 2.0L Type S (K20A). 2004 thru 2006 Acura RSX 2.0L Type S (K20Z). 2002 thru 2005 Honda Civic Si 2.0L (K20A). Billet Aluminum Throttle Body 70mm for Acura RSX 2002-06. This billet aluminum 70mm throttle body optimizes more airflow to the K20 engine. CNC-machined T6 Billet Aluminum. No Installation Instructions.